The EUBCE 2016 – the 24th European Biomass Conference and Exhibition – is proud to announce this year’s winner of the Linnerborn Prize 2016 – Dr. John (Jack) Saddler, Professor of Forest Products Biotechnology/Bioenergy and former Dean, Faculty of Forestry at the University of British Columbia. “Professor Saddler is a pioneer and innovator into why pretreatment, fractionation and enzyme hydrolysis have to be optimised to provide the front-end of a Biorefinery and he has contributed to many policy-related issues through work with organisations such as IEA”. As a senior research scientist, Dr. Saddler has been involved, for more than 30 years, in various national and international organizations that have advanced the global understanding of how woody biomass can be converted to useful fuels and chemicals. 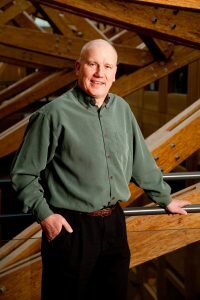 He is a Fellow of the Royal Society of Canada, Canada’s highest recognition for scientists, and he has received many other awards such as the International Union of Forest Research Organizations (IUFRO’s) Scientific Achievement Award, the Charles D. Scott award for contributions to the field of “Biotechnology for fuels and Chemicals”, etc. Recently, Dr. Saddler received the prestigious 2009 Leadership award, presented from Life Sciences British Columbia for demonstrated leadership in the industry and given to individuals who have assisted in the creation and advancement of the broader life sciences communities over time. Dr. Saddler has published more than 380 papers, several books, holds several patents and is a regular reviewer/advisor for agencies such as the US Dept of Energy, USDA, NSERC, World Bank, etc. Outside of the research setting, Dr. Saddler has not only advised policymakers at the highest levels provincially and nationally, but has been instrumental in the creation of long-standing initiatives to demonstrate, commercialize and transfer promising biorefining technologies, such as the creation of Ethanol BC and the BC Bioenergy Network. Nationally, his influence extends to such bodies as the Science Directorate of the Canadian Forest Service, the Canadian Council of Forests Ministers, and the National Roundtable on Economy and Environment. Internationally, he has contributed significantly to the work of the UN’s Food and Agricultural Organization (FAO), the US DoE, USDA, the International Energy Agency (IEA) Paris, and he has acted as the Task Leader of the Liquid Biofuels network of IEA Bioenergy organization. The Prize was established in 1994 for outstanding contributions to the development of energy from biomass. The Prize is named in honour of Johannes Linneborn, a pioneer of wood gasification. Deeply rooted in human ethics, he had far-reaching visions on the world’s development, on health, transport and agriculture. It is primarily a European Award but can occasionally be awarded to a Non-European. The Linneborn Prize is awarded every year to an individual for outstanding merits in biomass.